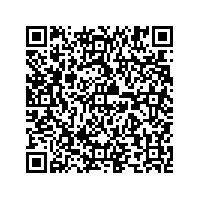 Scan this QR-Code with your mobile to add Bluestockings to your address book! this is an amazing bookstore and cafe. you can browse for hours and find one great book after the other on gender studies, cooking, crafts, radical movements etc etc. the atmosphere is great, staff and volunteers are helpful and full of knowledge. bluestockings deserves at least 6 stars because it's seriously the BEST bookstore in the whole wide word! run by a incredibly awesome collective of activists, with the help of a lot of lovely volunteers (i totally would be one if i lived in ny!). they carry a wide range of books on topics like queer- & gender studies, political theory, radical politics, crafting and cooking, global capitalism, diy, feminism, police and prisons, history, democracy studies, and black liberation, alternative parenting ... as well as children's books, magazines & zines, comics, alternative menstrual products, t-shirts and everything you need for your radical lifestyle. also they host events like readings, workshops, performances almost every night (! ), so check out their event calender on the website. besides that, bluestockings is also a fair trade cafe, you can have a coffee or tea (made by the sweetest staff ever) and vegan sweets while sitting in a cosy chair and thumbing through a book that might help you changing the (or at least your) world.